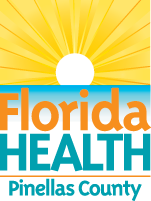 How can we promote healthy lifestyles and prevent disease in Pinellas County? Creating healthy communities and environments provides opportunity for residents to live a healthy lifestyle more easily. This priority addresses the effects that the physical and built environment has on health. Access to fresh fruits and vegetables, as well as to physical activity, can improve chronic disease health outcomes and the rates of obesity within the county. Goals, strategies, and objectives were developed by the Healthy Communities and Environments work team participants listed below and community stakeholders. Some links will open a new window. *Note: This page may contain materials in the Portable Document Format (PDF). The free Adobe Reader may be required to view these files.